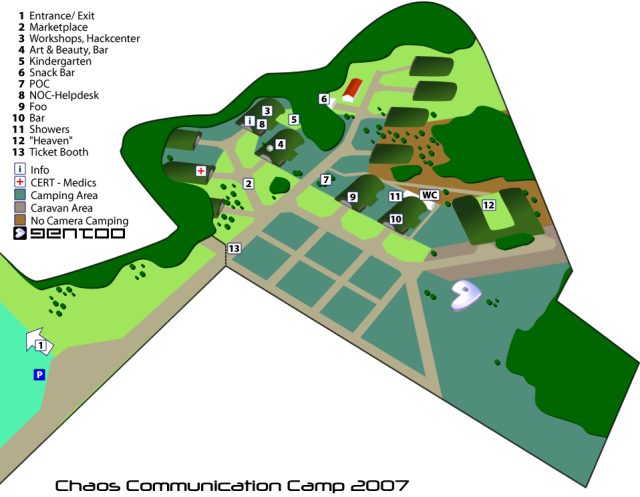 The Gentoo Summer Camp 2007 becomes Gentoo Village. In the last two years we've done some camping to get to know other Gentoo forum participants and users. Party and exchange of ideas are the main goals of our camp. Calm down, forget your daily work and just have a lot of fun. Feel free to bring some IT equipment with you, but it's not necessary. tables & chairs & sofas! This page was last modified 13:05, 15 August 2007.